We are a community divided! Haha! I did not imagine the results to almost every question in this poll would be nearly split down the middle! While not hugely successful, we did get about 100 votes on the poll, so that does at least make it an easy number to work with! I have had a lot of fun putting this together in the last couple of weeks. Let me begin by thanking our readers for participating, because of your help, my ‘theoretical’ fourth part was able to become reality, so I really couldn’t have done it without you! Now, onto the results! POLL ONE: The ‘subjectiveness’ of it all! I am limited on what kind of poll I can do here on WordPress, so therefore the type of results I can garner is limited as well. So,this is a simple poll, but hopefully will give us some idea of “The ‘subjectiveness’ of it all!” Here goes my first ever poll. 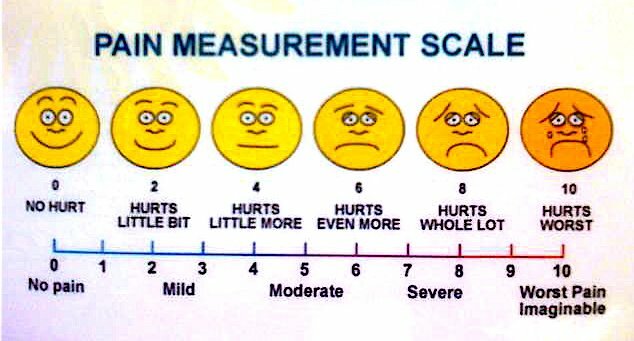 I will be using the scale of 1-10 like you would see in a doctor’s office for these, like this one…..
Once we get enough people to take the poll, I will work on a post to present the results to see if they are close to what the research says they could be. Please share this with anyone you know in the lifestyle so we can get as many votes as possible. The more votes the polls get, the more realistic the results will be. If this one succeeds, I might have another! Hope you enjoyed participating!